Being in the Latin American Cuisine concentration has taught me a lot, starting with the overall culture and cuisines of the region. We’ve covered some of the key ingredients and cooking methods in our first weeks here, so I thought I’d give you a peek into what we’ve been learning and doing! Enjoy. We started first learning about different types of corn and how corn is processed into many types of flours for food preparation. Surprisingly, corn is used to make everything from cornstarch to nail polish remover! 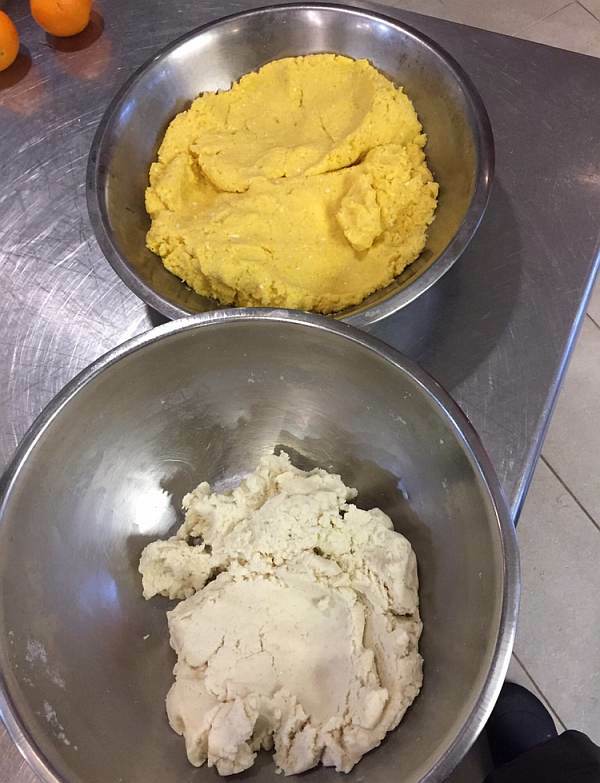 We learned how to make masa dough—a staple in Latin American cuisine for tacos, arepas, and tamales. When making the tacos, we nixtamalized the corn kernels with limestone in order to break down the skin of the kernels. Then they are processed through a machine, creating masa. What a delicious day! We learned the various ways of making sweet and savory tamales. A tamale filling can be anything from cheese to condensed milk. For example, when making the masa for the savory tamale, the main ingredient besides your Mazeca flour is a fat such as lard or shortening. When making the sweet tamale, the masa is made with condensed milk as well as raisins and has a pink color. That particular tamale, known as the Puerto Rican tamal, is wrapped in corn husk. But tamales can also be wrapped in banana leaves. Chiles are a very big part of the Mexican culture. Chiles such as ancho, guajillo, pasilla, and others are categorized by their heat when dried. When cooking with dried chiles, they may have to be reconstituted. You do this by opening them up, taking the seeds out, and soaking or cooking them in hot water. Chiles also change when cooked using different methods like dry roasting, frying, reconstituting, and grinding in a molcajete. For my chiles rellenos dish, I made ancho chiles stuffed with queso chihuahua with salsa brava tarahomara, that are called pambazos. 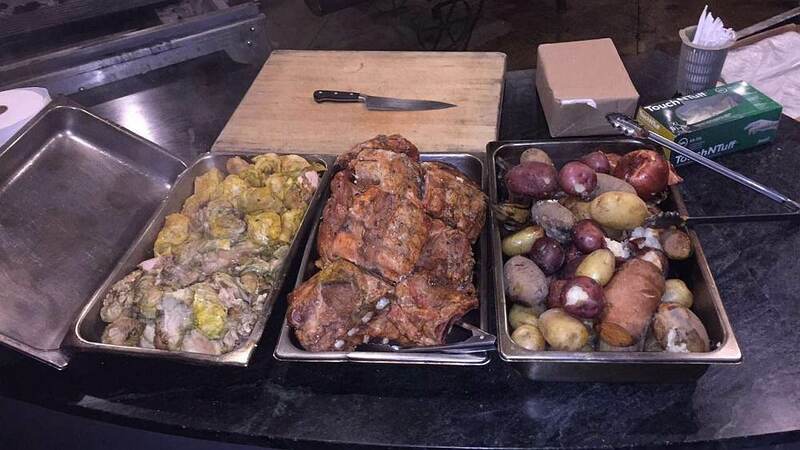 Pancha Manka is a Peruvian style of cooking in the ground. We had the chance to partake in this experience and show people exactly what we were making and explain the cooking method to them. We first cleaned and sanitized the rocks. As the rocks were getting cleaned, we started a fire and then put the rocks on a grate over the fire to get them hot. Next, we placed our chicken, ribs, potatoes, plantains, and other vegetables over the rocks in layers. We covered it all with banana leaves, corn husks, and a damp towel, and cooked everything for two hours. It was interesting to learn this traditional Peruvian method of cooking and to realize that the people of Peru consider food cooked this way a blessing from the Gods. Lechon is a suckling pig that is between two and six weeks old. La Caja China is a simple box. 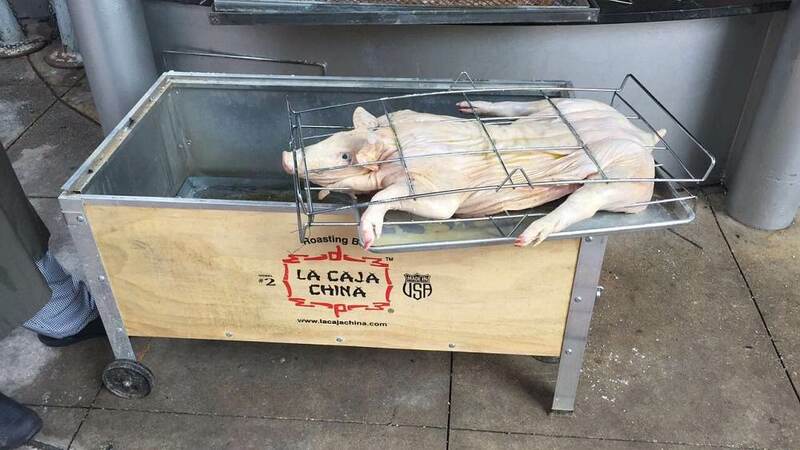 The pig splayed, seasoned, placed in a flappable rack, lowered into the box, and then covered with a rack of hot coals. 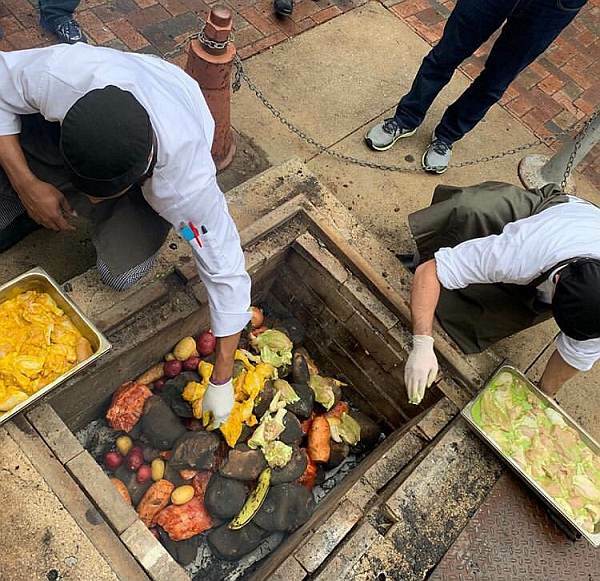 It takes about six hours after which we broke down the tender pig and had the opportunity to serve it to the public as a representation of Cuban cuisine. San Antonio itself is beautiful and there is a lot to see and do. Downtown is about a 10–15 minute scooter ride away. You can visit many historic areas like the Alamo, where the Battle of the Alamo was fought when Mexican troops reclaimed the Alamo mission from the Texans and immigrant occupiers. Everything downtown is vivid and uplifted with colors and energy from the people. When in San Antonio don’t forget to visit Lulu’s Bakery & Café. 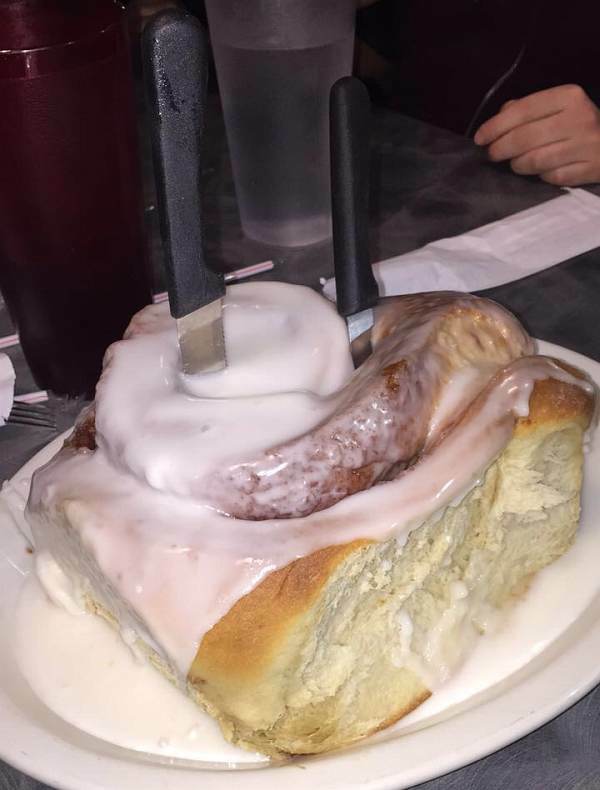 They serve the biggest cinnamon rolls—each weighs about three pounds! As for late-night snacks, El Guerro food truck has great tacos al pastor as well as habichuelas borrachas—pinto beans with hot dog pieces thrown in. I expanded my knowledge and taste buds by trying vegan tacos at Tapatio Vegan Tacos. They make their barbacoa-like meat with jackfruit. This taco was a little too heavy on the spices, but the idea of having vegan tacos and switching up the Mexican culture was engaging. The CIA San Antonio opened a brand-new restaurant called Savor. 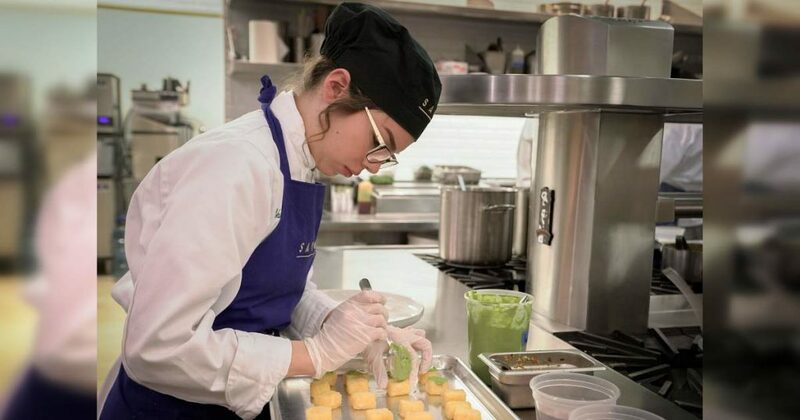 It is run by the students themselves and the dishes represent Mediterranean, Latin American, and Asian cuisine. I had the chance to work with the students before the restaurant opened and run through different components of a dish. Then, I was fortunate enough to eat at Savor again after the restaurant was opened. My favorite dish was the Berkshire pork schnitzel served with an apple sauce and a cucumber-dill salad. I found the sweetness from the sweet apple and spicy cabbage complemented each other and the cucumber salad was cleansing at the end. Just great! First Friday is an event you should most definitely go to when coming to San Antonio. It’s when there are different types of art everywhere and you get to observe it as well as talk to the artist one-on-one about their pieces. My favorite was the skull made of plantains. 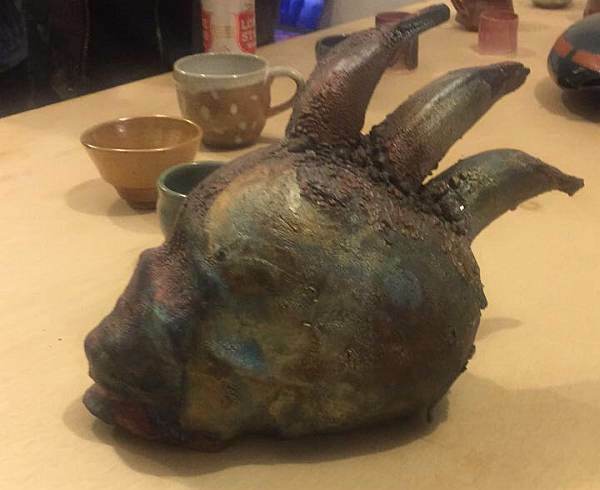 The artist talks about making molds from the plantain itself in order to create the image he wanted. It was my favorite art piece because it reminded me of my Dominican culture and background. Hope you’ve enjoyed this peek into what we’re doing in the Latin American Cuisine concentration. More to come! Stay tuned!